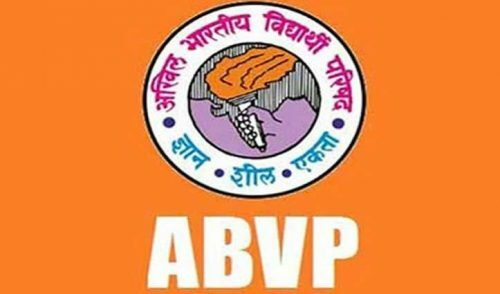 ABVP Wins 3 out of 4 seats in DUSU elections! 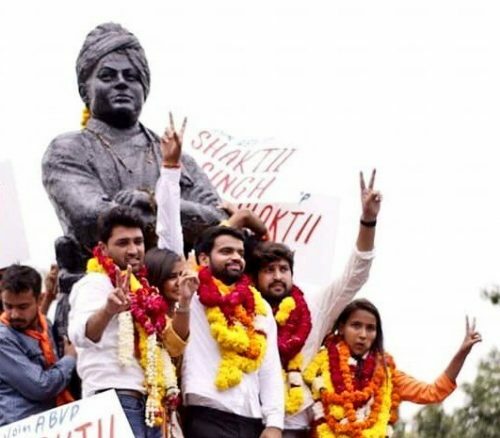 Akhil Bharatiya Vidyarthi Parishad has won the posts of President, Vice President and Joint Secretary in elections for Delhi University Students Union. ABVP’s Presidential candidate Ankiv Baisoya won by 1744 votes. Vice President candidate Shakti Singh won by 7673 votes and Joint Secretary candidate Ku.Jyoti Chaudhary won by 4972 votes. ABVP had won 2 seats in the last year’s DUSU elections. ABVP karyakartas’ relentless work for the students of Delhi University has made this victory possible! Akhil Bharatiya Vidyarthi Parishad thanks the students of Delhi University for electing us to the DUSU. We assure the students that ABVP is committed to fulfil all its promises made in the manifesto.